2015 may go on record as one of the most successful years for women in motorsports! Ladies in the pits, on the track, and in the boardrooms were all making big moves and celebrating amazing milestone victories. 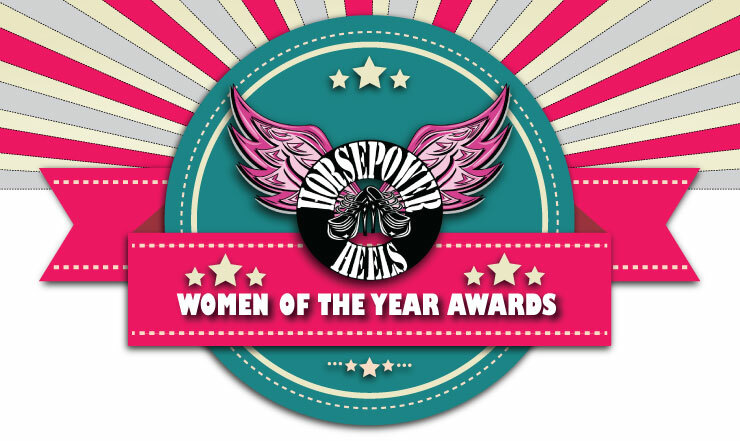 The first-ever Horsepower and Heels Women of the Year Awards is our way of recognizing the women that are out there working hard and making things happen in motorsports. Over 915 ballots were cast in 10 days, 2,611 votes were counted, nominating 378 different women in motorsports. The competition was tight, and some of the races came down to the final hour of voting. Thanks for the comment. We LOVE Bridgett, and she’s also a contributor on this website as well. Bridgett was one of the nominees in the Racer of the Year category. We can’t wait to see what she has in store for 2016!